Once you arrive, you will provide us with a detailed personal and family medical history, so that we may better serve your individual healthcare needs. A comprehensive chiropractic, neurological, and orthopedic exam will tell the true story of your body's current level of health. From this exam we will decide on a specialized care plan for you to follow. This will include your visit frequency as well as the specific type of adjustment that your spine requires. We will document and evaluate all of your exam findings. If necessary for your individual case, a complete set of full spine X-rays will be ordered to locate spinal misalignments (which we call subluxations). This will help you form a visual picture of your particular situation. Along with these films, we will also use motion and static palpation (feeling the spine for vertebral joint movement) to assess your body's condition. Radiology and palpation are both reliable sources with which we gather significant information. We will make every effort to ensure that the appropriate areas of concern are located. 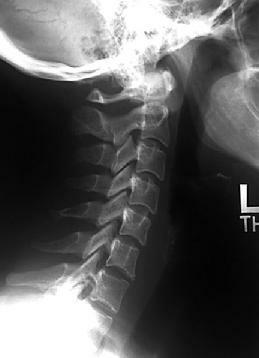 Chiropractors utilize a variety of techniques to detect and correct spinal subluxations. We will work with you, to make sure you are comfortable with the technique we've chosen to use on your road to wellness. The Chiropractor gently "adjusts" the vertebrae, restoring optimal levels of nerve flow to every cell, tissue and organ in your body. After the X-Rays are reviewed by a radiologist for any anatomical abnormalities and then by Dr.McDaniel for pertenent Chiropractic findings, we will decide which segments need to be corrected to return your body to its optimal level of health. Chiropractors use their hands to gently return your misaligned vertebra to their proper location, allowing freely moving nerve impulses to function more efficiently. If this sound like a foreign language, take a peek at our glossary! Chiropractic is basically defined as the diagnosis and treatment of human ailments without the use of drugs or surgery. It is a non-allopathic, or "alternative medicine" form of treatment, a natural approach to health and wellness. A Doctor of Chiropractic is concerned with the relationship between structure (the spine) and function (the nervous system of the human body). This relationship assists in the restoration and preservation of your body's health. These key building blocks of health are the foundation of Chiropractic. In just over 100 years, Chiropractic has developed into a recognized health care profession. There are over 50,000 licensed doctors of Chiropractic in the U.S. and thousands more around the world. Licensed Chiropractors practice in all 50 states, and many countries around the world. Read a little about our amazing history!